I'm proud of you and your team; you've accomplished a lot and are a great example to others. 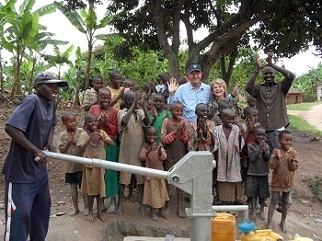 Your stories of how you blessed the churches, people and especially children of Rwanda are a great encouragement to me. It's clear that you and your team are empowered by God to have a great impact in Rwanda. You've made an important difference by bringing them fresh water to drink and the living water of Christ through your sacrifice and ministry. I'd like to express my appreciation on behalf of the PEACE leadership in Rwanda, for your team's commitment to empower the local churches in Rwanda to minister to their respective constituencies by providing clean water to the needy. No Thirsty Child! 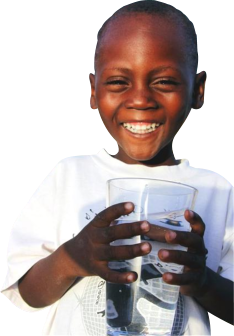 is a 501 (c)(3) or nonprofit organization by ordinary people who are using their own time, talent, and resources to bring clean, safe, accessible water to children and their families by facilitating sustainable technology projects and education through the use of the unique, world-wide distribution system of local churches. To summarize No Thirsty Child! as a whole: We are a charity organization dedicated in helping to make means to provide clean water to areas that have little to it and are in constant danger of waterborne diseases and infections that is detrimental to their health. No Thirsty Child! will provide access to water purifying technologies that require minimal maintenance in order to preserve their supply. We will also be teaching them hands-on educational programs in order to train them in safety measures in terms of drinkable water and other related activities. For our programs, please proceed to our Technology Programs and Education Programs for more information.